G.R. No. 130657 April 1, 2002 - PEOPLE OF THE PHIL. v. ERICTO APPEGU, ET AL. G.R. No. 135693 April 1, 2002 - PEOPLE OF THE PHIL. v. CORNELIO GELIN, ET AL..
G.R. No. 149036 April 2, 2002 - MA. J. ANGELINA G. MATIBAG v. ALFREDO L. BENIPAYO, ET AL. G.R. No. 104047 April 3, 2002 - MC ENGINEERING, INC. v. COURT OF APPEALS, ET AL. G.R. No. 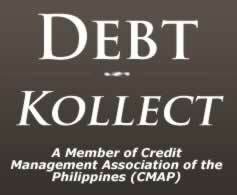 135190 April 3, 2002 - SOUTHEAST MINDANAO GOLD MINING CORP. v. BALITE PORTAL MINING COOP., ET AL. G.R. Nos. 144222-24 April 3, 2002 - PEOPLE OF THE PHIL. v. RONITO BOLLER, ET AL. G.R. No. 117355 April 5, 2002 - RIVIERA FILIPINA, INC. v. COURT OF APPEALS, ET AL. G.R. No. 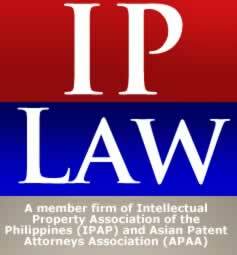 143706 April 5, 2002 - LAW FIRM OF ABRENICA, TUNGOL & TIBAYAN, ET AL. v. COURT OF APPEALS, ET AL. G.R. No. 147877 April 5, 2002 - FERNANDO SIACOR v. RAFAEL GIGANTANA, ET AL. G.R. No. 149148 April 5, 2002 - SUSAN MENDOZA-ARCE v. OFFICE OF THE OMBUDSMAN (VISAYAS), ET AL. G.R. No. 138084 April 10, 2002 - MALAYAN INSURANCE CO. v. PHIL. NAILS AND WIRES CORP.
G.R. No. 138292 April 10, 2002 - KOREA EXCHANGE BANK v. FILKOR BUSINESS INTEGRATED, ET AL. G.R. No. 138772 April 10, 2002 - GRACE T. MAGDALUYO, ET AL. v. GLORIA M. QUIMPO, ET AL. A.M. No. RTJ-00-1591 April 11, 2002 - LAURENTINO D. BASCUG v. JUDGE GRACIANO H. ARINDAY, JR. A.M. No. MTJ-02-1411 April 11, 2002 - JOCELYN T. BRIONES v. JUDGE FRANCISCO A. ANTE, JR.
G.R. No. 116850 April 11, 2002 - DR. LAMPA I. PANDI, ET AL. v. COURT OF APPEALS, ET AL. G.R. No. 124354 April 11, 2002 - ROGELIO E. RAMOS, ET AL. v. COURT OF APPEALS, ET AL. G.R. No. 138104 April 11, 2002 - MR HOLDINGS, LTD. vs.SHERIFF CARLOS P. BAJAR, ET AL. G.R. No. 139433 April 11, 2002 - PEOPLE OF THE PHIL. v. ARMAN AROFO, ET AL. G.R. No. 142931 April 11, 2002 - PEOPLE OF THE PHIL. v. RAMIL BERUEGA, ET AL. G.R. Nos. 148404-05 April 11, 2002 - NELITA M. BACALING, ET AL. v. FELOMINO MUYA, ET AL. G.R. No. 151445 April 11, 2002 - ARTHUR D. LIM, ET AL. v. HON. EXECUTIVE SECRETARY, ET AL. G.R. No. 132358 April 12, 2002 - MILA YAP SUMNDAD v. JOHN WILLIAM HARRIGAN, ET AL. G.R. No. 148194 April 12, 2002 - WILLY TAN v. PEOPLE OF THE PHIL. G.R. No. 147909 April 16, 2002 - MAUYAG B. PAPANDAYAN, JR. v. COMMISSION ON ELECTIONS, ET AL. G.R. No. 126371 April 17, 2002 - JAIME BUSTAMANTE, ET AL. v. COURT OF APPEALS, ET AL. G.R. No. 126620 April 17, 2002 - PRODUCERS BANK OF THE PHIL. v. COURT OF APPEALS, ET AL. G.R. No. 142936 April 17, 2002 - PHIL. NATIONAL BANK, ET AL. v. ANDRADA ELECTRIC & ENGINEERING CO.
G.R. No. 143658 April 17, 2002 - PEOPLE OF THE PHIL. v. ROMEO PAGURAYAN, JR. A.M. No. P-02-1546 April 18, 2002 - TEOFILA M. SEPARA, ET AL. v. ATTY. EDNA V. MACEDA ET AL. G.R. No. 132028 April 19, 2002 - PEOPLE OF THE PHIL. v. EUSEBIO ENFECTANA, ET AL. G.R. No. 135050 April 19, 2002 - PEOPLE OF THE PHIL. v. EFREN TEJERO, ET AL. G.R. No. 135999 April 19, 2002 - MILESTONE REALTY AND CO. v. COURT OF APPEALS, ET AL. G.R. No. 148540 April 22, 2002 - MOHAMMAD ALI A. ABINAL v. COMMISSION ON ELECTIONS, ET AL. A.M. No. MTJ-96-1100 April 24, 2002 - CRISPINA M. CAMPILAN v. JUDGE FERNANDO C. CAMPILAN, JR. A.M. No. RTJ-02-1683 April 24, 2002 - MATHEA C. BUENAFLOR v. JUDGE SALVADOR M. IBARRETA, JR. A.M. No. RTJ-00-1557 April 25, 2002 - ATTY. LETICIA E. ALA v. JUDGE LEOCADIO H. RAMOS, JR. A.M. No. P-02-1568 April 25, 2002 - CRISTE A. TA-OCTA v. SHERIFF IV WINSTON T. EGUIA , ET AL. G.R. No. 105774 April 25, 2002 - GREAT ASIAN SALES CENTER CORP., ET AL. v. COURT OF APPEALS, ET AL. G.R. No. 127371 April 25, 2002 - PHIL. SINTER CORP., ET AL. v. CAGAYAN ELECTRIC POWER and LIGHT CO.
G.R. No. 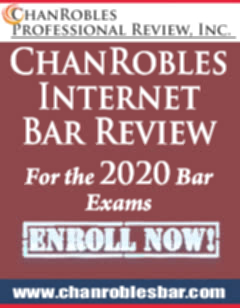 140848 April 25, 2002 - RAMON RAMOS v. HEIRS OF HONORIO RAMOS, SR.
G.R. No. 148218 April 29, 2002 - CARMELITA S. SANTOS, ET AL. v. PHIL. NATIONAL BANK, ET AL.